#Microsoft365 #Office365 #MicrosoftTeams The current ongoing #LTC18 LearnTeamsConference is a reminder to me that there’s still lots to learn, and also to keep on sharing to help other people, like I’ve been helped over the years. 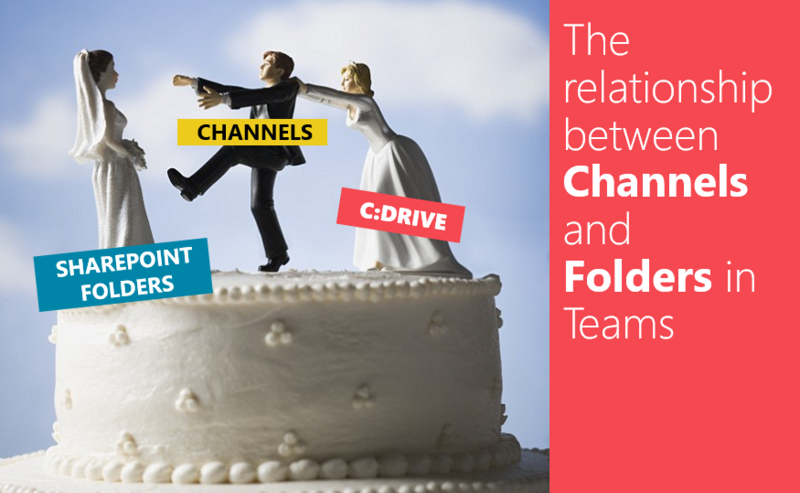 Today we’ll take a look at the relationship between the channels you create in Microsoft Teams and the folders it creates in the SharePoint Document Library. This of course is an app that we use to bring together all the tools and resources that we use when working in Teams. For previous posts that I’ve written on Teams, click here. One of the great things about Teams, is that all documents that you share in conversations (in a specific channel) ends up in folder in a library. This is why the way you build your Team and the Channels you add are important. When a Team is created, a SharePoint site is created automatically in the background. Any documents shared in your Teams will be saved to the document library on this SharePoint Site. Keep in mind that documents shared in direct chats will be stored in your OneDrive. The SharePoint site will then open on the specific folder (Channel) where you opened it from. For example. If you were standing in the General Channel and clicked on Files, and then opened SharePoint from there, it will open the Document Library in the General folder. This is because each Channel in your Team has a corresponding Folder in SharePoint Document Library. Each new Channel you create – creates a Folder in the Document Library. When I create new folders in the Document Library on SharePoint IT WILL NOT create a new channel in my Team. You can create sub folders in the main Channel folders, but when you share documents in a conversation, it will always be saved in the root of that channel (folder). Hope you’re enjoying Teams as much as I am, and remember, learn as you go. Things are updated and added daily, keep your eye on the help files in the T-bot under Chat. Times have changed, you are now responsible to keep on learning and evolving. Don’t wait for someone else to do it for you.